﻿ AMW International Co., Ltd.
AMW was established in year 2001 as the specialist in design and build kitchen and wardrobe storage system. For years, AMW dedicated in developing various patterns in cabinets fittings to improve space utilization and their functionality in kitchen and wardrobe range. 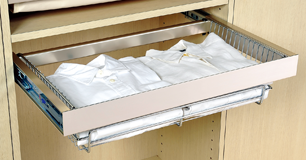 Our designs meant to provide flexible storage solution for homes and business place. Our products go through a meticulous process of research, development and planning and we ensure that our customers receive the highest quality products. 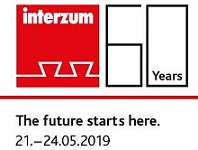 As a professional manufacturer in interior accessories, we provide more than 1,000 wide range items with different material, finish, colors and designs to satisfy our customers all over the world. We are also open to meet customers' need which covers OEM and ODM products too. We deeply appreciate for each of you in past years to make us growing. We’ll keep working with you until you are beyond satisfied. 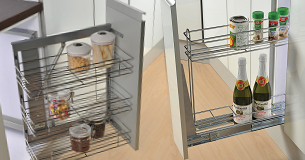 With pioneering spirit and high quality products we have the confidence that AMW will always be your best choice when it comes to kitchen and wardrobe accessories. An elegant piece in your wardrobe, with quality finish and soft-closing function. All kinds of small cabinets fit into your tiny space of your kitchen. 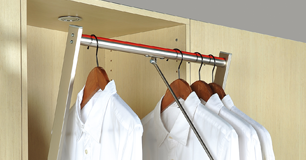 A sturdy and heavy load closet rod, easy soft down and up. Taipei office: Fl.5-3, No. 66, Fu-Hsing N. Road, Taipei 104 Taiwan. Tel: +886-(0)2-2781 8585. Fax: +886-(0)2-2740 7269. Factory: Hemei Township, Changhua County, Taiwan. AMW International Co., Ltd. All Right Reserved.